Connolley took control of all things climate in the most used information source the world has ever known -- Wikipedia. Starting in February 2003, just when opposition to the claims of the band members were beginning to gel, Connolley set to work on the Wikipedia site. He rewrote Wikipedia's articles on global warming, on the greenhouse effect, on the instrumental temperature record, on the urban heat island, on climate models, on global cooling. On Feb. 14, he began to erase the Little Ice Age; on Aug.11, the Medieval Warm Period. 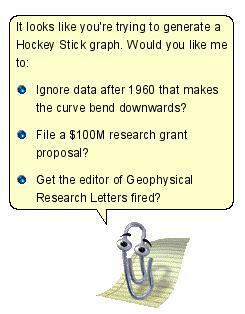 In October, he turned his attention to the hockey stick graph. He rewrote articles on the politics of global warming and on the scientists who were skeptical of the band. Richard Lindzen and Fred Singer, two of the world's most distinguished climate scientists, were among his early targets, followed by others that the band especially hated, such as Willie Soon and Sallie Baliunas of the Harvard-Smithsonian Center for Astrophysics, authorities on the Medieval Warm Period. 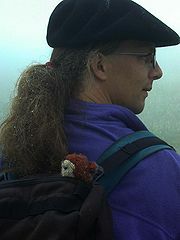 In September 2009, the Wikipedia Arbitration Committee revoked Mr. Connolley's administrator status after finding that he misused his administrative privileges while involved in a dispute unrelated to climate warming. Cc: Tom Crowley ,"Michael E. Mann" , "raymond s. bradley" , Stefan Rahmstorf , Eric Steig ,[email protected], [email protected],gar[email protected], David Archer , "Raymond P." ,[email protected], [email protected], "Mitchell, John FB (Chief Scientist)" , "Jenkins, Geoff" , "Warrilow, David (GA)" , Tom Wigley ,[email protected], "Folland, Chris"
A few snippets from wikipedia… I’m now an admin, and hence have ultimate power to CRUSH ALL MY ENEMIES HA HA HA HA!!! . Sadly no: the rules prohibit me from abusing my powers and there are always other people watching anyway. And not that I have too many enemies, Of Course. Some of the comments are interesting though: try the RFA, scroll down for the Opposes.